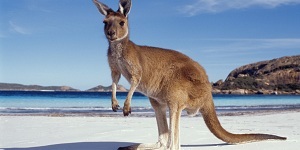 The choices in Australia and the size of the country can make travel planning intimidating. At Aspire we understand, read our travel ideas, check out our package and honeymoon suggestions and then speak with one of us and together we can work out the itinerary you always wanted. Most Australians lives within a 20 minute drive of the coast, so it’s hardly surprising that the beach is so deeply embedded in the culture. With so many beaches, both on the mainland and the islands strectching from the Great Barrier Reef to the untouched wilderness of Tasmania, you can have the sand between your toes in no time. 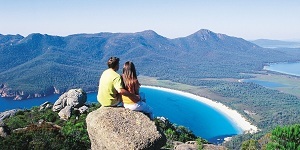 From the arid, fiery red Outback to the dense vegetation of the world’s oldest rainforest, you cannot fail to be overwhelmed by Australia’s scenic wonders. Intertwined are Aboriginal legends and stories, "The Dreamtime" which tell how the indigenous population survived and prospered as they roamed the extreme landscape. With its award-wining wines, from regions such as the Barossa, Margaret River and the Hunter Valley. It's home grown, farmed, fished and harvested produce. The brilliance of its chefs who draw inspiration not only from their travels but from Asia. If you are a foodie you can travel to Australia in total confidence. Whether nestled on beautiful islands, remote outback locations or seasonal wetlands, but always rounded by unsurpassed beauty. 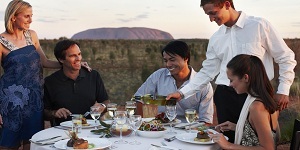 The choice of luxury accommodation and service combined with distinctive Australian style makes for world class standards in luxury and indulgence. So many activities, from hot air ballooning, horse riding and hiking to remarkable outback adventures combining 4WD safaris and sleeping under the stars. 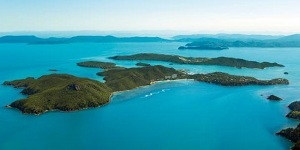 Alternatively, hit the water with excellent diving and snorkelling, white water rafting and sailing from Sydney Opera House to the Barrier Reef islands. Whether you venture into the Australian Bush or visit one of the many excellent wildlife parks you'll want to see the iconic native animals - Koalas, Kangaroos, Platypus, Emus & Wombats. The marine life is equally abundant, the fish of the great barrier reef, dolphins, turtles, whales and of course ... sharks. 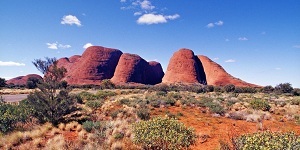 Australia is a great choice year round for a family - happy kids mean happy parents. The well patrolled beaches are a must but all the other activities are sure to delight and educate. From ziplining in the rainforest canopy, feeding a kangaroo or quad biking, create those childhood memories. 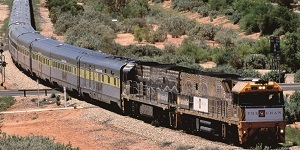 Australia is crisscrossed by some of the world’s longest trans-continental railways. If you have the time a journey by rail is unforgettable. A favorite is to depart Adelaide and see the gradual changes in the landscape, overnight on the Ghan and awake to the vastness and colors of the red center.